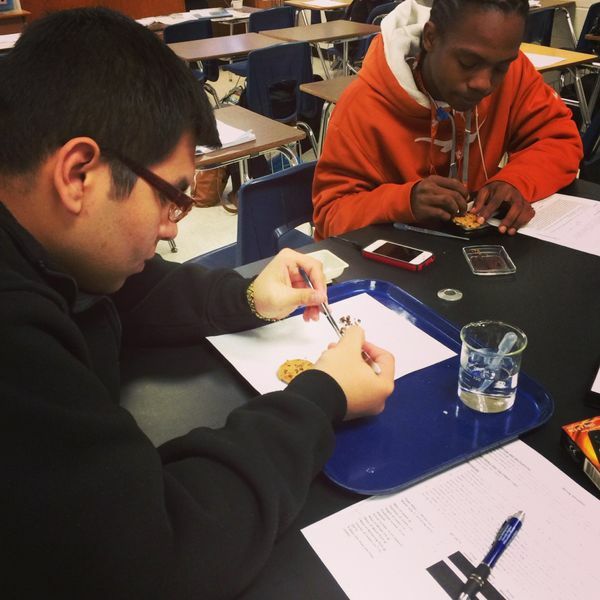 To simulate the economic and environmental costs of mining, students used chocolate chip cookies, tweezers, pipettes, etc. to collect their "ore" (chocolate chips). I wasn't allowed to stay long for this lesson because the "ore" tends to disappear wherever I go.